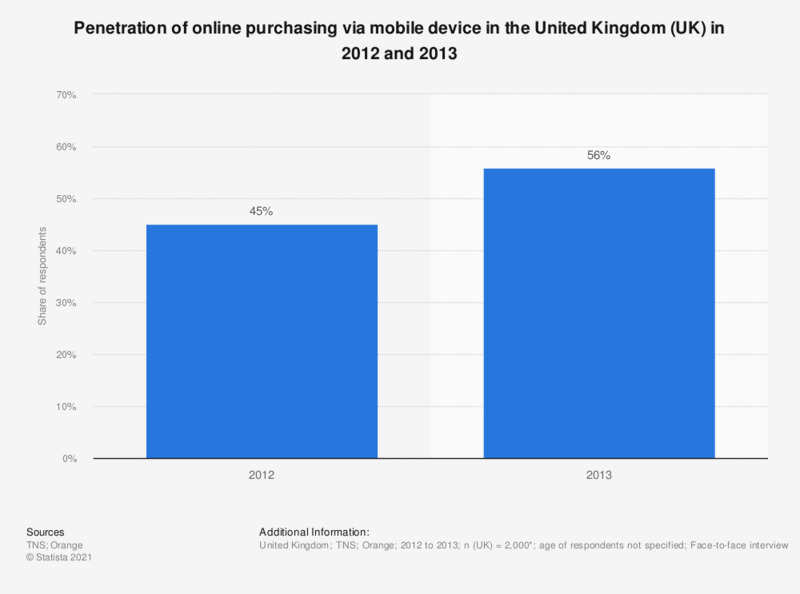 This statistic displays the penetration of m-commerce in the United Kingdom (UK) in 2012 and 2013. In 2013, penetration was 56 percent. The source defined mobile media users as those who performed "at least one connected activity on mobile in the last six months."